Last week, leaders with the City of Sequim and the U.S. Small Business Administration (SBA) Seattle District Office met with some of Sequim’s small businesses to hear concerns and connect them with local and federal resources. As part of the Rural Strong Washington Initiative, SBA officials held informational sessions March 27-29, at the Sequim Library and Sequim Civic Center on a number of topics, including loans and grants, exporting and a small business town hall. Melanie Norton, SBA regional communications director, said one reason for the initiative is to ensure rural areas like Sequim aren’t left out during an economic boom and business owners are made aware of resources similarly to urban areas. 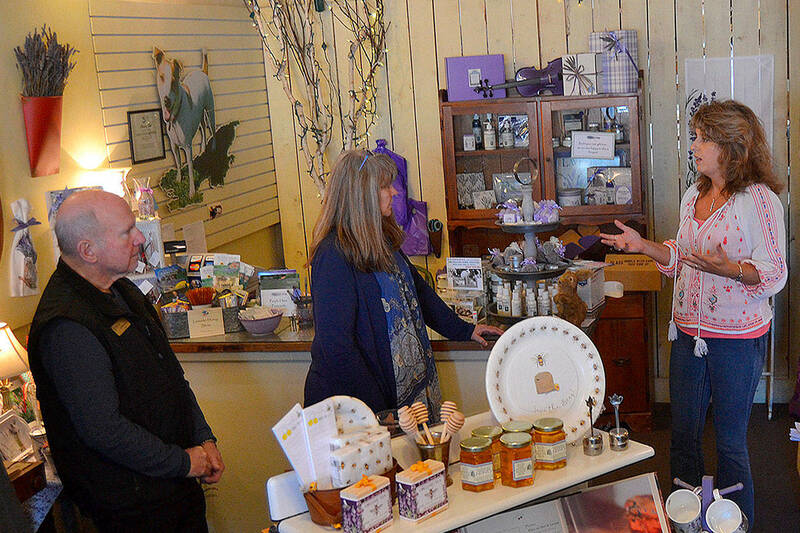 On Thursday, city and SBA officials took a walking tour of Downtown Sequim to check in with a handful of businesses, including Tedesco’s Italian Fresh, Pedego Sequim (electric bikes), Pondicherri/handprints, Purple Haze Lavender, Super Tart Scented Wax Co., Design2Scan3D, and Wind Rose Cellars. Owners and managers shared behind-the-scenes looks at their businesses, spoke about their history and shared any challenges their business may be facing. Along for the tour were SBA Seattle District Director Kerrie Hurd, Sequim Mayor Dennis Smith, Apollo Fuhriman, a regional advocate, Barry Berezowksy, Sequim community development director, and SBA officials Norton and Lisa White. For more information on the U.S. Small Business Administration Seattle District Office, look for it on social media under @SBASeattle.